What is an org file and how do I open an org file? The .org file extension is mainly associated with Lotus Organizer; software that allows the creation and storage of personal information as well as other information such as tasks and to-do lists, contacts and a lot more. This software is popularly known as an electronic day planner and the files that are created using this software, the files containing the user’s personal information are called .org files. But aside from Lotus Organizer, there are also other applications associated with the .org file extension. The extension is also used by Microcal Origin; software mostly used by scientists as well as engineers for their data analysis. The data created using this software and the data being analyzed to help them with their experiments are called .org files which can be opened using the Microcal Origin Pro  software. Another application associated with the .org file extension is the Odds Ratio Generator. 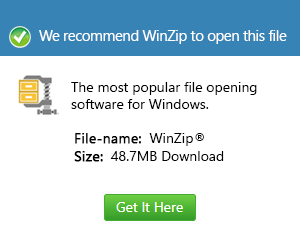 Files created using this software are also called .org files. The software is used to compute data such as Odds ratios, events rate, etc. and all these data are saved into the .org format. The .org files are also called organ or sound files used by the Yamaha organ software and these files contain information about flute files that contribute to its simulation. There are also other applications using the .org file extension such as Hollywood FX, Netmino File as well as Pinnacle applications.